There are numerous reasons a film script is successful. One of the factors for success is the ability of a movie to connect with the audience. The more the audience is connecting to the script the more engagement happens and eventually they like the film. Naturally human beings react to 5 senses see, hear, smell, taste and touch and 6th intellectual sense. If the script is able to connect with the six senses then there is a natural connection that happens. See: Film is a visual medium and it can easily connect to this sense. The visual portrayed connect to the audience. 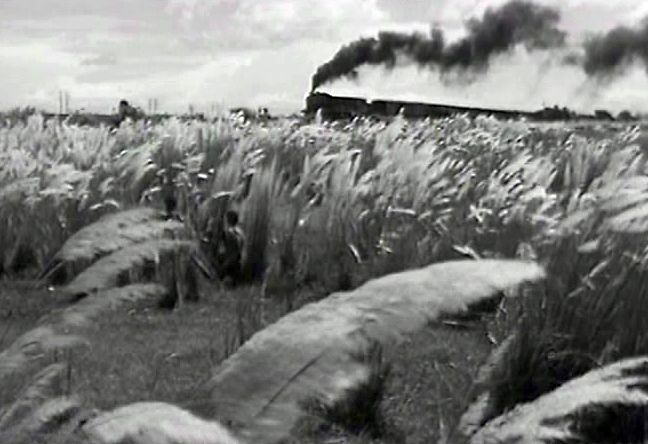 Satyajit Ray’s Pather Panchali has an iconic scene of the kids running through the fields to see a running train. The scene would connect well with people who spent their childhood near a railway line and have experienced this or even run through a paddy field. Hear: Audio plays a very important role in the movie. This is where sound engineering plays a major role. 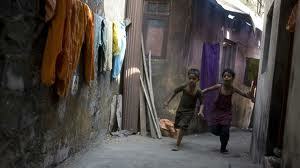 Slumdog Millionaire created the sounds that one would hear in the Dharavi area very aptly which made the visuals look more real. Smell: This is one of the difficult senses to get across to the audience although there has been experiments made to create smell in theaters based on the visuals but nothing has been put into commercial use yet. However through the characters in the movie or in the dialogues this could be manifested. In the movie Lunch box you see the lead character smelling the tiffin box and leaving for lunch immediately. This would get the audience connected to the scene. Taste: This again can be conveyed through a visual medium. The movie Kahaani had Kolkata as a character in the movie. The street side chat shops have been used to create an ambience and many scenes involve the actors or the side characters eating in those shops. Lunch box is another good example where food plays a major part of the narration and it is shown beautifully that you end up feeling hungry. This makes the audience relate to the sense of taste. Touch/Feel: Similar to smell this can be narrated through visual elements. Many a times you would have felt goose bumps when watching the movie. In the movie Making of Mahatma when Mohandas starts walking on his own and slowly the scene builds up where more and more people join him the march you get a sense of pride and goose bumps. Compelling narration could manifest a variety of feeling in the audience to have them connected. Intellectual: The sixth sense of the human is intellectual and a good script should never “insult the intelligence” of the audience and would never connect well with them. 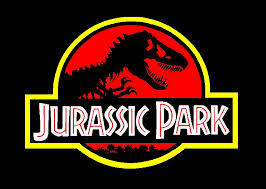 In the movie Jurassic Park Director Speilberg and writer Crichton prepare the audience in the first 20 minutes to create a convincing case for the possibility of recreating the dinosaurs which had got extinct 65 million years ago. This created a very successful movie and also allowed them to create more sequels to this. Every individual is different and there is not a single movie which everyone has liked it. A movie or a script becomes a hit then many people have connected to it. If it is strongly liked only by a set of people then it gets a cult status. Not all hit movies would have connected to the six senses of the audience but all movies that have failed to do so. One of the popular Indian movie Don (1978 Hindi film) and Billa (1980 Tamil film) this structure is followed very clearly. The first act ends when the original Don is killed and the street side singer takes up the challenge of posing as Don. The second acts is all about how he infiltrates into the enemy camp and establishes himself and overcomes challenges one after another. The problem gets worsen when the only police officer who knew his original identity is killed and the protagonist takes a extreme step to bring out the truth. The climax is how he solves it and emerges victorious. It keeps the audience guessing till the end. In the 2006 remake of Hindi Don, Farhan Akthar made changes to the climax portion converting it to an anticlimax which worked brilliantly as the audience were taken by surprise. The success of the screen play involves how well the writer engages the audience in all the 3 phases. If it is not written well or if you see random situations just thrown in you do not get connected and end up disliking it. Three act play is not the only structure for writing scripts… there are other formats as well and many of the modern film makers like Tarantino, Guy Ritchie use various improvisations over this to treat the audience differently. In the coming week I will write review on a movie which follows 3 Act structure to the book. Udhayam NH4 – Out and out action thriller movies are bit scarce in Tamil Cinema. Udhayam NH4 is one such action thriller. The new comer Manimaran should be appreciated for taking up an action thriller subject for his first movie. The movie starts with Prabhu played by Siddarth abducting politician’s daughter Rithika played by Ashrita Shetty. There is a deadline for saving Rithika in the next 12 hours. A successful encounter specialist Inspector Manoj menon played by Kay Kay Menon is out to get Rithika back to her father. The rest of the movie is all about if he succeeds in his mission, why has Prabhu abducted Rithika? The answers are known as the movie unfolds. The chase sequences and events have been well thought. As the movie revolves around 3 states the director has used the local languages with caption in Tamil and also lot of work has gone in getting the proper slang in the accent of the actors when they talk different languages. However the director hasn’t spent much time one other aspects in building up a strong motive, the characterization of the characters other than Prabhu which leaves the movie a forgettable one. If you are in mood for a different subject in Tamil Cinema you might not feel bad for watching this. Udhayam NH4 promises to give a enjoyable ride… it is indeed one if you ignore the occasional pot holes.